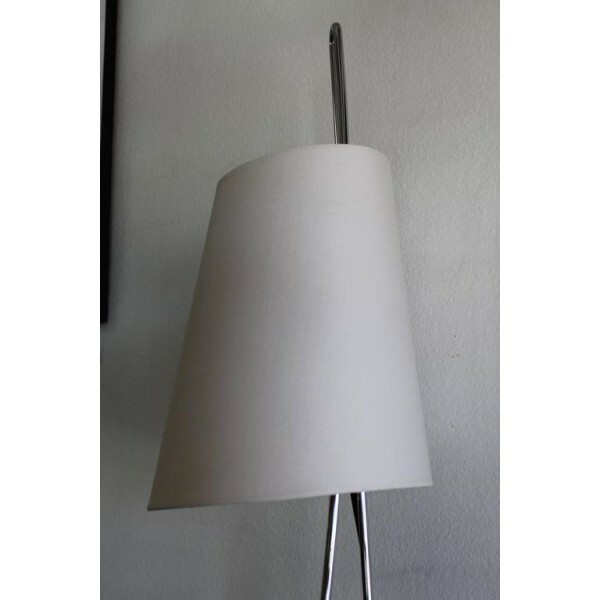 Elegant vintage Italiana Luce floor lamp. 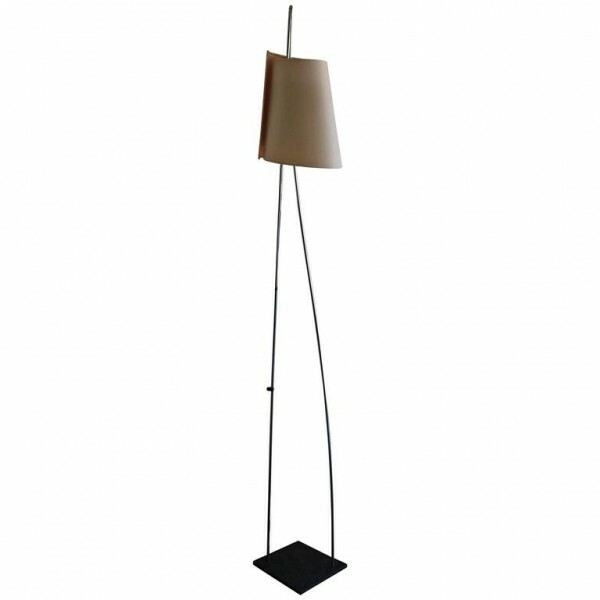 One continuous chrome "loop" holds the lamp together and attaches to a raw, Minimalist steel slab base. The chrome lamp loop also is slightly "bent". 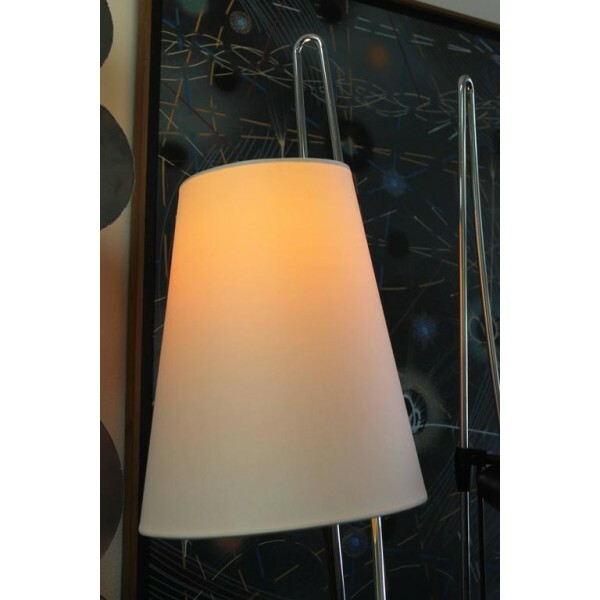 Ive seen other examples of these lamps and the loop is exactly the same. 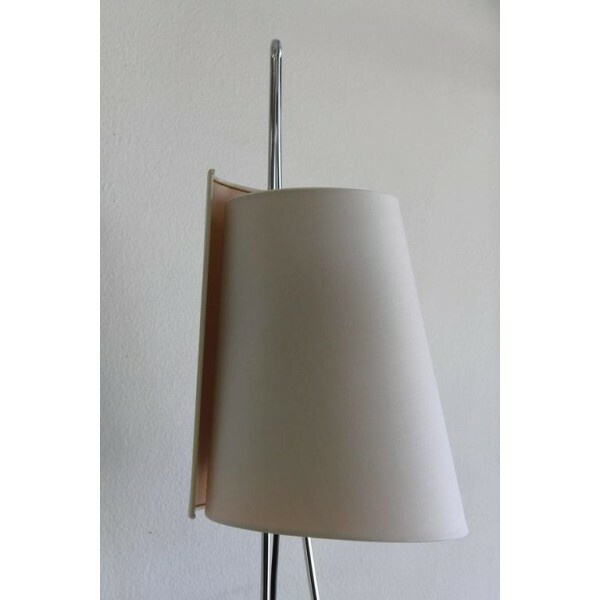 This lamp has a rare and original shade. 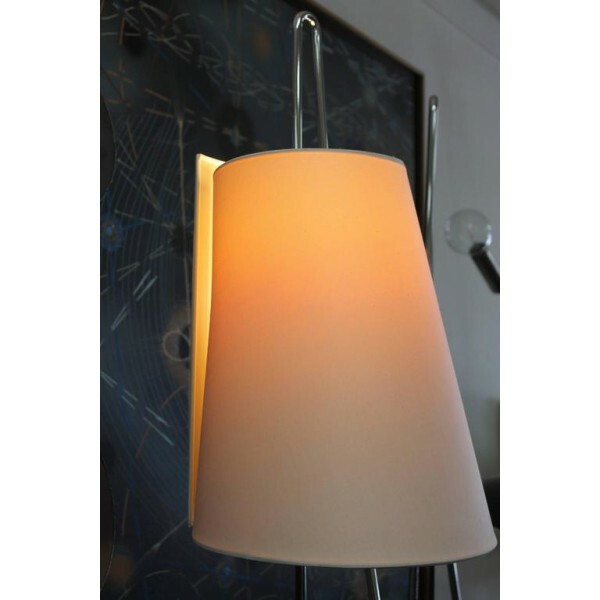 Although the lamp looks very simple, much detail went into this design. 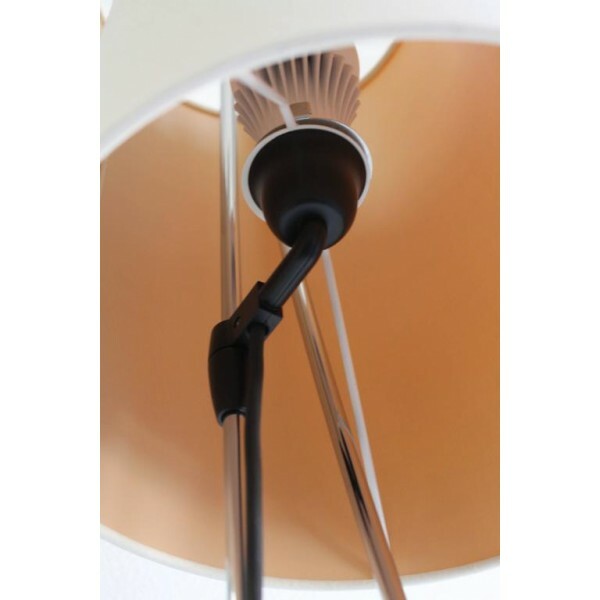 The shade can be adjusted up or down the loop. Floor on/off dimmer switch. Measures: Total height is 82.5". Base is approximately 10.5" deep and 11" wide.